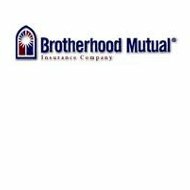 Brotherhood Mutual Insurance Company is a unique insurance company that focuses solely on insuring churches, missionaries, ministers, and other aspects of ministry. Founded more than 90 years ago, Brotherhood now insures over 35,000 churches and ministries in 42 states. However, they do not provide health insurance. Insuring a church or a ministry is distinct because there are so many aspects to running a ministry. As 100% people based organizations, churches interact with adults, teens, and children on a daily basis. They also have employees and volunteers that offer their time and resources on a regular basis. All of these aspects must be covered by insurance. Founded by the Mennonite church, Brotherhood Mutual was created to help churches recover from fires, theft, or storms. It has since expanded to take care of over 35,000 customers and includes property liability, commercial auto, workers compensation, and foreign missions and travel in over 40 states. Being a mutual company means that Brotherhood is owned by its policyholders. It is not a publicly traded company owned by shareholders. This means that the money that is being paid into premiums is used to cover the damages of other policyholders. Even though it is a monthly bill, it is money that is being put to good use instead of just making shareholders more money. As a mutual, Brotherhood is run by a board of directors instead of an executive or board of executives. All policyholders are given the opportunity to participate in the election of board members, and if the company has annual dividends, policyholders get a share. This way, policyholders have the opportunity to make changes, if they feel changes are necessary. Brotherhood Mutual’s personal property and liability coverage extends beyond personal property. The property portion covers property that is damaged, lost, stolen, or destroyed. This includes buildings, belongings, and property. It also provides a bond insurance, which covers losses due to personnel who act dishonestly. The liability portion covers personal injuries that occur on the property of the church or ministry. It also covers any lawsuits that may be filed due to emotional injury. Due to the nature of ministry and counseling, some people may become hurt or damaged emotionally and hold the church or minister liable. It also covers liability due to a situation that may arise with a teacher or a governing board member. The commercial auto insurance plan from Brotherhood Mutual covers anywhere from one van to a fleet of vehicles used for church or ministry purposes. Vehicles are the number one cause for liability within a ministry, due to the potential for accidents, but also due to other ways, an individual can be injured in a vehicle. Brotherhood Mutual Commercial Auto Insurance includes vehicle liability, collision, comprehensive, uninsured motorist coverage, vehicle medical payments coverage, personal injury protection, and vehicle physical damage coverage. Policies are written in accordance with the state that the ministry or church is located in. Workers compensation benefits are required by state law for both employees and volunteers. They cover medical expenses for job or volunteer related injuries. Brotherhood Mutual’s workers compensation benefits include medical benefits, disability benefits, rehabilitation benefits, and death benefits. Many churches and ministries have a branch that travels overseas for the purpose of missionary work in underdeveloped nations. This could be anything from building homes, to teaching school, to medical trips, to teaching life sustaining methods. Because of this, many organizations need an insurance program that will cover the costs of foreign situations. Brotherhood Mutual’s Foreign Missions and Travel insurance is for short-term missions, studying abroad, fulltime missions, and foreign travel. There are three different coverage options. Option 1 is the most comprehensive and is suggested for those who will need medical insurance, travel insurance, and security protection when traveling outside the US. Option 2 is designed for medical and travel insurance only which includes hospitalization, intensive care, and outpatient services. It also covers lost baggage and pays for a family member to fly to the injured party. Option 3 provides for trip cancellation, lost baggage recovery, and basic medical. We have been very disappointed in the service of Brotherhood, it has been an up hill battle with this company to get damages taken care of, due to the lack of being professional.